Here is a shocking opioid statistic just released about the epidemic. Over 2/3 of those recorded opioid-related deaths in 2016 were because of the potent cancer-pain drug, Fentanyl. Fentanyl is up to 100 times more potent than morphine according to the CDC, and deadly drug mixes of fentanyl are accelerating death rates. This 2016 opioid statistic got the attention of America: There were more American lives lost in 2016 than in the Vietnam and Iraq Wars. The CDC reports that the opioid epidemic has “waves”. The first wave of the opioid epidemic was on account of morphine. The second wave began in the 90’s with the introduction of heroin. The third wave recorded in the opioid epidemic began in 2013 with fentanyl. Unlike the first two waves, taking fentanyl is not always a deliberate choice. Users are usually unaware that their drugs contain fentanyl so when they intake their usual dosage; they can accidentally take a deadly amount. Drug dealers are lacing their drugs with fentanyl to increase potency, however, the difference between a lethal and non-lethal dosage of fentanyl is in micrograms. The average drug dealer is not using the type of sophisticated equipment to necessary to properly measure fentanyl amounts and prevent deaths. Additionally, to severe addicts, news of overdose deaths indicate that a local dealer has “a good supply”. The National Opioid Data Center from the 1Life Project will catch Fentanyl “death” waves as they occur in real time. The technology will display overdose clusters on daily maps to inform first responders and help fend off the fentanyl-laced deaths. 1Life might be saved. Or 2 or 3 or 200. The real danger is not having the technology to catch the death waves soon enough. Data at the desktop of our community responders and stakeholders can save lives. 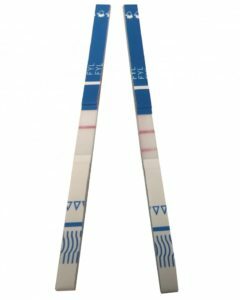 Imagine this: immediately upon VIEWING an area cluster of deaths, fentanyl strips are deployed. 1Life is saved. 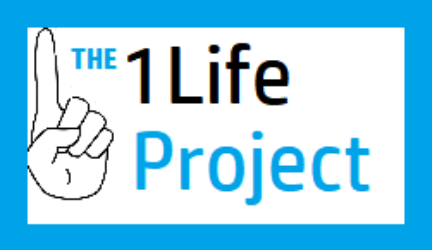 The 1Life Project. Technology to save 1Life. Help us achieve our goal. Volunteer today. Previous PostPrevious Poverty May Be Linked To Opioid Deaths, A New Study Suggests. Next PostNext Momentum Has Picked Up For The 1Life Project National Opioid Data Center! Follow the 1Life Blog for the latest in the fight to end the opioid epidemic.